We're going round and round today as our papercrafters alter wooden hoops! From teeny tiny to extra large, filled with flowers, photos, and embellies...an altered hoop is the perfect vehicle for an easy-to-create home decor piece! Aren't these hoops sweet? 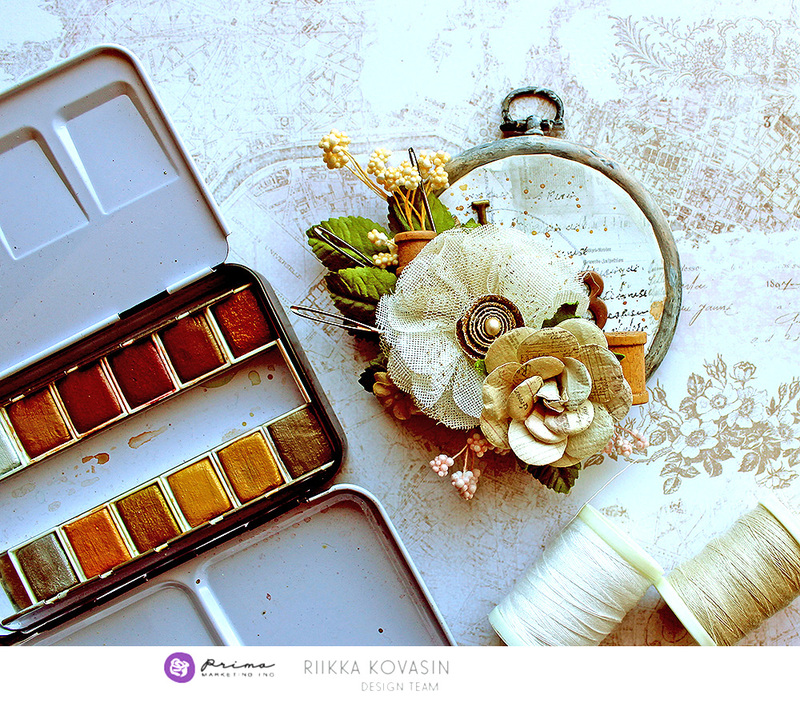 I love the mini size of Riikka's crafty hoop, the way Anita showed off a wonderful pet photo on her clean and fresh design, and how much personality Vero added to her sailor girl hoop! Try altering a hoop and sharing it with us!